Listeriolysin O (LLO) is a member of a widespread cholesterol-dependent pore-forming cytolysins family (CDCs). It's natural role in Listeria monocytogenes is to provide endosomal escape. The first step of the process involves binding of monomeric listeriolysin molecules to lipid bilayer containing cholesterol. The binding induces conformational change that subsequently leads to the formation of a prepores' oligomeric structures (consisting of 33-50 monomers) converting into large (maximum 350A-diameter) pores. This severely disturbs the stability of endosomal membrane and causes it’s rupture. LLO is a phagosome-specyfic lysin. The acidic pH is necessary for it’s full hemolytic activity. 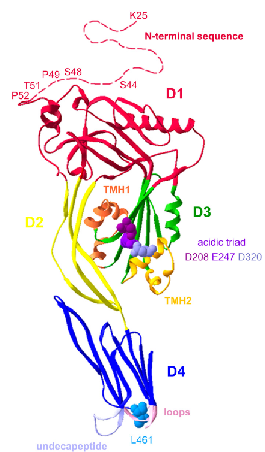 Neutral pH of cytosol causes premature unfolding of TMH domains responsible for aqueous pore formation. This mechanism prevents Listeria spp from killing the host cell and losing the intracellular environment. In case of any tranformed strain it guarantees the lowest possible level of cytotoxicity, incomparable to this involved with the use of any other protein from CDCs family. Created with the use of parts BBa K299810 and BBa K299811 cloned by Marta Błaszkiewicz. Work supervised by Michał Lower at all levels. The part consists of B0032 RBS ligated to inv gene from Yersinia pestis (horizontal gene transfer form Yersinia pseudotuberculosis). Following elements are B0032 RBS ligated to synthetic gene encoding Listeriolysin, codon usage optimized for E. coli. Aminoacid sequence identical with mature form of LLO from Listeria monocytogenes. Original signal sequence (secretion signal) is omitted since it does not work in E. coli. 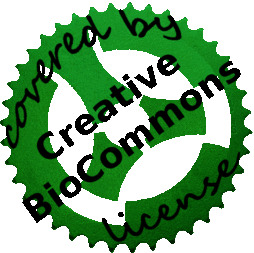 The construct is a fragment of the Invasiveness Operon (BBa_K299813 and BBa_K299815) To find out more about it's background and design click here. Invasin(inv) from Yersinia pestis and listeriolysin O(llo) from Listeria monocytogenes were provided by Pamela A. Silver, Harvard Medical school. 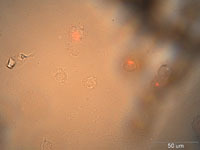 Three types of mammalian cells were evaluated—J774 mouse macrophage cell line and mouse induced pluripotent stem cells in embryonic stem(ES) cells stage and embryoid body(EB) stage.Synechococcus elongatus PCC 7942 was the first cyanobacterial strain which could be transformed by exogenously added DNA.Engineered cyanobacteria which were transformed inv-llo plasmid cocultured with cells under Leibovitz's L-15 medium without antibiotics. 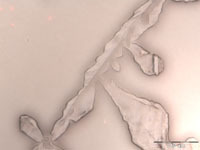 After 24 hours, supernatants were discarded and cells were washed with PBS two times and the medium was replaced by L-15 containing antibiotics. Cells were fixed by 4% paraformaldehyde and were observed by fluorescent microscope or confocal laser microscope after 24 hours. Detailed methods were described on NYMU.Taipei wiki. 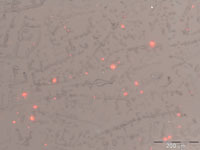 Under the fluorescence microscope 530-550 nm excitation filter, red pots were S. elongates PCC7942. Under the transmitted light, round and transparent one was cell. 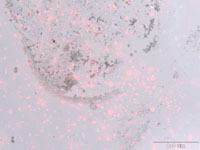 Figure 1 revealed wildtype and inv-llo transformed type both entered into J774 macrophage cell line by phagocytosis and the help of inv-llo. 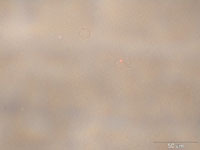 Figure 2 showed the coculture results of iPS cells at ES stage. Results showed that inv-llo transformation would increase the recruitment of cyanobacteria on induced pluripotent stem cells instead of the entry. inv-llo strain, merged image of fluorescence and bright field. wildtype, merged image of fluorescence and bright field. On figure 3, there were similar and relative results of the iPS cells at EB stage to iPS cells at ES stage. The symbiosis of stem cells would be more difficult but the recruitment provided a potential for invading mammalian cells. The symbiosis possibility of induced pluripotent stem cells from mice and J774 mouse macrophage cell line were evaluated. Results showed that invasin and listeriolysin O transformation would raise the entry speed and escape rate in J774 mouse macrophage cell line, and would increase the recruitment of cyanobacteria on induced pluripotent stem cells. Towards a Synthetic Chloroplast, Christina M. Agapakis,1 Henrike Niederholtmeyer,1,¤ Ramil R. Noche,1 Tami D. Lieberman,1 Sean G. Megason,1 Jeffrey C. Way,2 and Pamela A. Silver1,2,PLoS One. 2011; 6(4): e18877.